Rightscorp, a U.S.-based anti-piracy company, is using Canada's new copyright notice-and-notice system to require Internet providers to send threats and misstatements of Canadian law in an effort to extract payments based on unproven infringement allegations. Not only does Moore bear some responsibility for establishing the notice-and-notice rules without regulations, but there is now no quick fix. Last week I posted on how Rightscorp, a U.S.-based anti-piracy company, was using Canada's new copyright notice-and-notice system to require Internet providers to send threats and misstatements of Canadian law in an effort to extract payments based on unproven infringement allegations. Many Canadians may be frightened into a settlement payment since they will be unaware that some of the legal information in the notice is inaccurate and that Rightscorp and BMG do not know who they are. The revelations attracted considerable attention (I covered the issue in my weekly technology law column Toronto Star version, homepage version), with NDP Industry Critic Peggy Nash calling on the government to close the loophole that permits false threats. Nash noted that "Canadians are receiving notices threatening them with fines 30 times higher than the law allows for allegedly downloading copyrighted material. The Conservatives are letting these companies send false legal information to Canadians in order to scare them into paying settlements for movies or music no one has even proved they've actually downloaded." 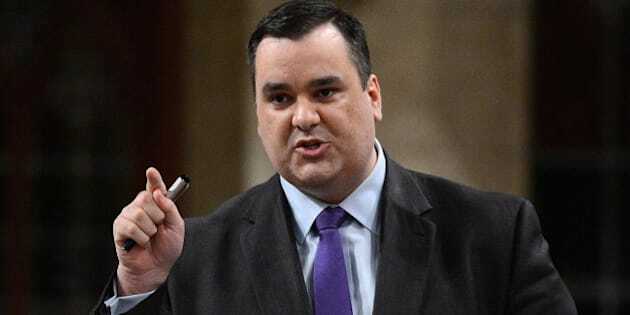 With the notices escalating as a political issue, Jake Enright, Industry Minister James Moore's spokesman, said on Friday the government would take action. Enright said that "these notices are misleading and companies cannot use them to demand money from Canadians," adding that government officials would be contacting ISPs and rights holders to stop the practice. While that is encouraging, the reality is that this is a mess of the government's own making. In fact, according to documents obtained under Access to Information, the government previously dismissed calls for changes to the system from Internet providers. Moreover, Industry Canada officials conducted consultations that were designed to create reforms that might have stopped these practices. Moore decided to forge ahead with the notice-and-notice system without any additional regulations, however, a decision that lies at the heart of the current problem. According to the internal documents, Industry Canada officials prepared a list of issues with the notice-and-notice system as early as July 2012. It raised the possibility of establishing a strict template for use in notices. Had the government implemented a template in the regulations, the threatening notices from Rightscorp would be invalid. Moreover, by the fall of 2012, the government prepared a letter to stakeholders and a backgrounder that invoked the regulatory powers to prescribe the form or content of the notice and to decrease the statutory damages for failing to meet the notice-and-notice obligations. Moore announced in June 2014 that the system would be implemented without regulations. This was not the first time Moore decided against reforms to the notice-and-notice system. Further government documents reveal that Bell Canada recommended reforms in January 2012 (before the bill was passed) that included a removal of a minimum statutory damage for failure to to forward a notice. Had the reform been accepted, the government would now be in a position to recommend that Internet providers not forward the misleading Rightscorp notices without fear of liability. Not only does Moore bear some responsibility for establishing the notice-and-notice rules without regulations, but there is now no quick fix. The Minister may promise to talk to the ISPs and rights holders, but what is going to say? His own rules require ISPs to forward notifications to subscribers under threat of a minimum of $5,000 in statutory damages for failing to do so. His own rules do not include a specific form that could have been used to exclude the misleading assertions on Canadian law and the efforts to scare individuals into paying settlement fees. ISPs have little choice but to forward the notifications and there seems little likelihood that a company like Rightscorp, which is being sued in the U.S. for its practices, will care what a Canadian government minister has to say. Merely stating that the government disapproves of the misleading practices is not enough. To address the issue, the government should ask the Competition Bureau to conduct an investigation into the misleading conduct. Moreover, Moore should move quickly to implement the very regulations he previously dismissed, which could be used to prohibit the inclusion of settlement demands within the notices and create penalties for those companies that send notices with false or misleading information. This post originally appeared on Michael Geist's website.